Editor’s note: Welcome to the debut of Groove – The No Treble Podcast. 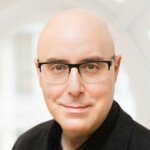 Hosted by Mitch Joel, we plan to bring a different podcast to you each month. Be sure to check out how to subscribe below. Robert Trujillo is known to millions of people – all over the world – as Metallica’s bass player. Fans of Metallica know Trujillo as the guy who replaced Jason Newsted in 2003. Both Trujillo and Newsted had tough boots to fill after original Metallica bassist, Cliff Burton, was killed in a tour bus accident in 1986. 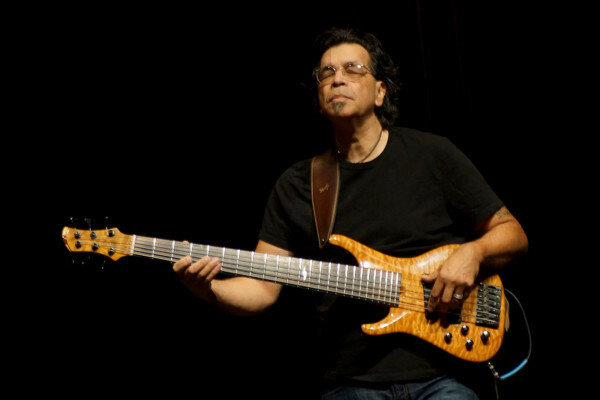 Prior to Metallica, Trujillo rose to rock notoriety as the bass player in Suicidal Tendencies. He then went on to play in Infectious Grooves, for Ozzy Osbourne and has done work with Black Label Society and Alice In Chains’ Jerry Cantrell. As Metallica heads back into the studio to write and record new music, Trujillo has also been hard at work keeping the spirit of Jaco Pastorius alive. Along with being the producer for the soon-to-be-released documentary, Jaco, Trujillo also played an integral role in recovering Jaco’s famed instrument, the bass of doom, which he now holds on behalf of the Pastorius family. 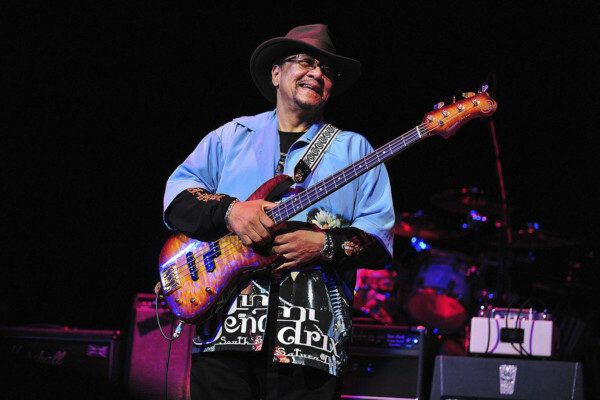 In this, Trujillo has become both lauded and questioned by the bass playing community. Great interview with an amazing human being and bass player. My anticipation on the Jaco documentary just hit a new high. Excellent interview. I always thought of Robert as a very positive person and he really is. And he’s a great storyteller too, not mentioning his playing skills. Thank you for that! Thanks, Flavio :) He was a pleasure to speak to! The universe is aligning. Bravo, guys. As long as Jaco’s Jazz is still being PLAYED somewhere. It’s useless in a display case or museum. It dies as a museum piece. It was very interesting. Thanks. Thanks for the feedback, Andrés. It means a lot to us. This was wonderful to listen to…so much heart expressed! Thanks! Robert Trujillo is a sharp guy – nice interview! Time to bump some Infectious Grooves! 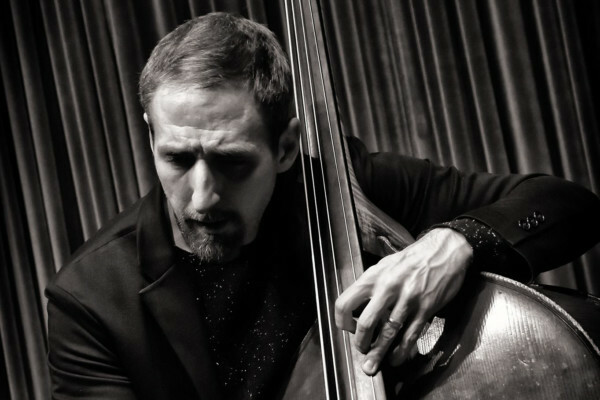 Aaron Gibson brings that jazzy, creative style to it. I LOVED IT! Can’t wait to hear more NT podcasts. Congratulations on the new podcast, I enjoyed it a lot! But please make sure he comes back for another episode as this one was a lot more about Jaco than Robert “The bassist”. Robert Trujillo inspired me to play the bass, and Metallica being my favorite band prior to him becoming the bassist, as well as listening to him play since suicidal tendencies, made me so happy that he joined Metallica. Best band and best bassist by far in my opinion. Awesome interview as well!!! Isn’t Ron McGovney the original bass player of Metallica? Mitch, you did an awesome job and asked great questions. I learned a lot about Robert and Metallica from this interview and it is very interesting especially when you are a long time fan like myself. Keep up the great work. Truly awesomeness!!!! Great show…Looking forward to many more…..
Just catching up on these… Great job! Can’t wait til Robert comes back to talk more about his own journey on the bass.